If you’re a regular reader of ABR magazine or our website, you have probably noticed we’re huge fans of motorcycling in Italy. 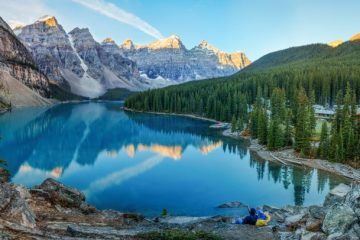 From the mountain peaks of the Dolomites to the azure waters of the Amalfi coast, it is a country that offers adventure biking riches to rival not only the rest of Europe, but anywhere in the world. 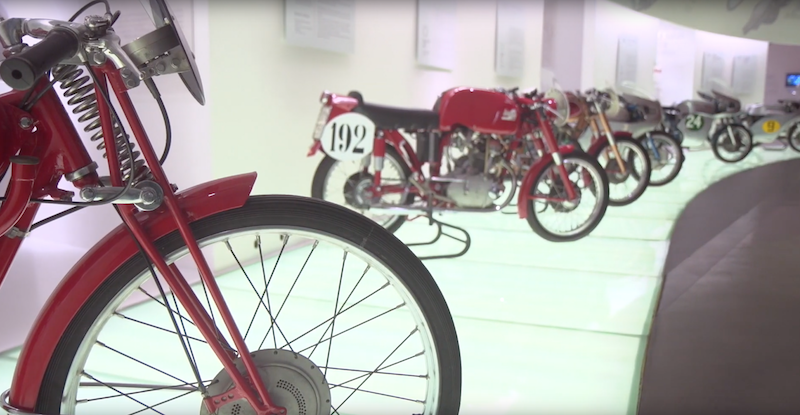 Italy also embraces the passion and beauty of motorcycling unlike anywhere else, with a rich heritage of producing some of history’s most desirable bikes. In fact, a sense of passion and beauty flows through everything the Italians do, from producing world-class food and wines, to creating some of the most stunning architecture you’ll ever see. 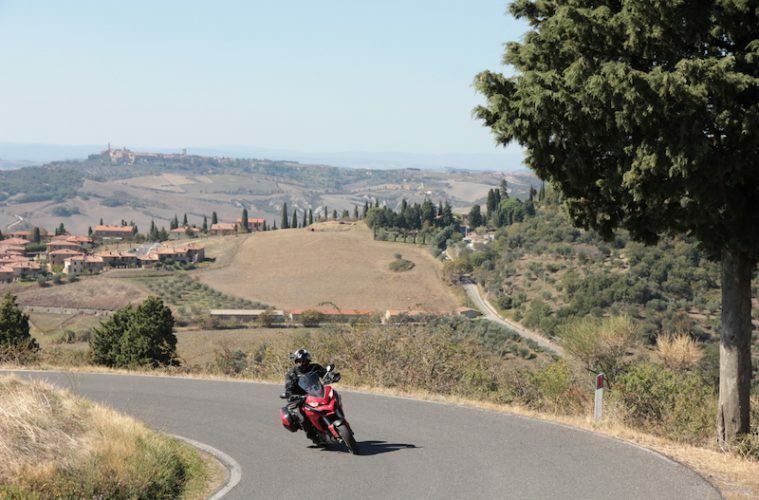 Combine this with exhilarating mountain passes, spectacular coastal roads, and beautiful cross-country routes through the likes of Tuscany and Umbria, and you have the recipe for the perfect motorcycle tour. 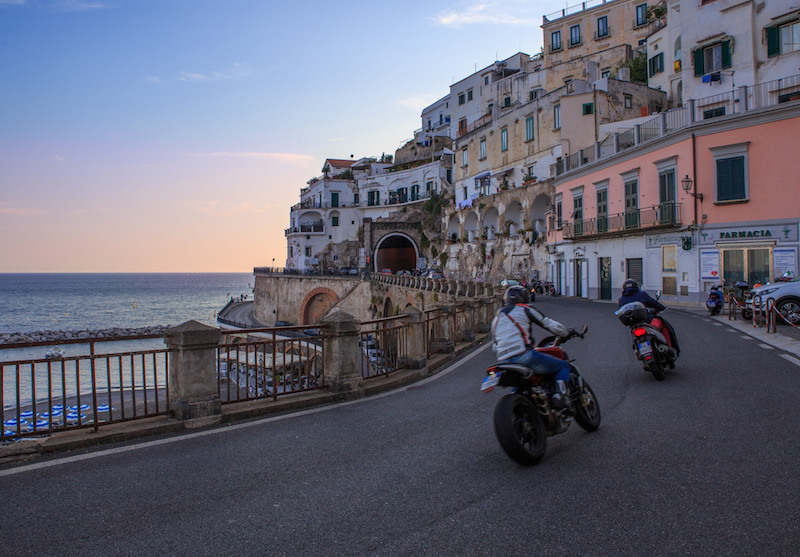 We can’t recommend riding a motorbike in Italy enough, so we’ve teamed up with local experts Hear the Road to highlight why we think Italy could be Europe’s best motorcycle touring destination. Mountain passes and adventure bikers go together like pasta and meatballs. Whether we’re leaning into stacked hairpin turns on silky smooth tarmac, or exploring the old gravel military roads, we love conquering mountains on our motorbikes. With the Italian Alps, and in particular the Dolomites, Italy possesses some of the most dramatic scenery in the world, and arguably the best mountain riding in Europe. 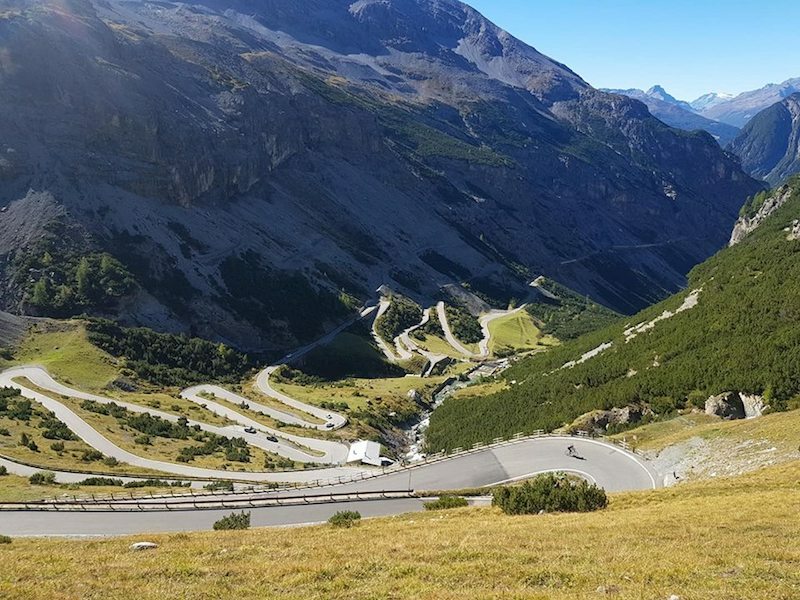 The iconic Stelvio Pass is just one of a series of passes that carve their way through the jagged peaks of the Italian Alps. To say the riding is exhilarating would be an understatement as switchbacks, climbs and descents blur into each other, accompanied by a backdrop of jaw-dropping views of forested valleys plunging beneath you. Given the choice of anywhere to ride in Europe, it’d be hard not to choose the mountain passes of the Italian Alps. Italians love motorbikes. It’s ingrained in their culture. They also love beautiful things. 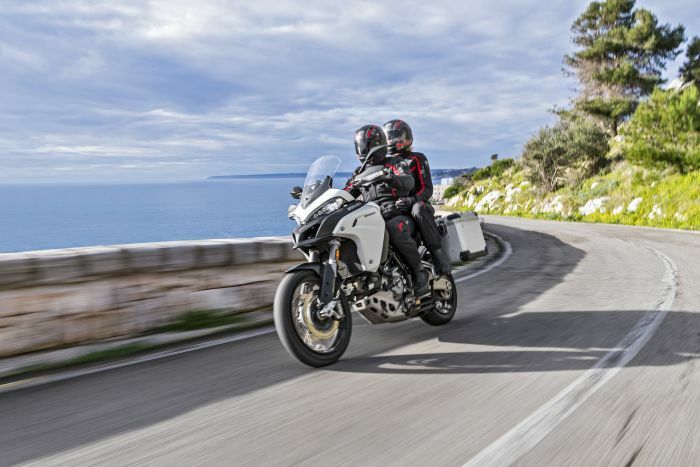 Function and form go hand-in-hand which is why the Ducati Multistrada is such as damn good-looking bike. Italian motorcycle designers like the legendary Massimo Tamburini combined engineering excellence with aesthetic beauty in a way that only the Italians can. Generations of gorgeous motorbikes have come off Italian production lines combining the latest technology with a beauty to turn the head of even the most diehard Japanese or German bike fans. They may not have always been the most reliable of motorcycles, but my God, they look and feel good. Ride through Italy on an Italian motorbike and you can’t help but feel part of that history. It’s a dizzying feeling and one to light a fire in the heart of even the most jaded of bikers. The Amalfi Coast road (SS163) is one of the world’s iconic highways, up there with the USA’s Route 66 and Australia’s Great Ocean Road. 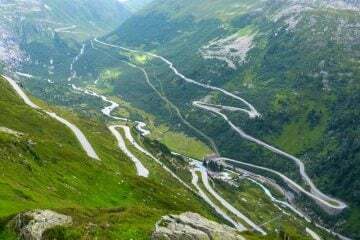 The fact it is referred to as the road of 1,000 bends gives you an idea of the sort of riding you’re in for. The road wiggles, twists, climbs and dives its way from Sorrento to Salerno. The ride is dotted with colourful towns and villages clinging almost impossibly to the cliff edge, while sun-dappled ocean views are a constant reminder you are in one of the most beautiful places on earth. Due to its popularity, the Amalfi coast road gets very busy and you can easily find yourself snarled up behind lines of cars and buses on this picturesque single lane highway. Don’t let this put you off. Just ensure you make an early start to avoid the worst of the traffic and slow your mind to embrace the rhythm of the road. If you get stuck in traffic, simply look up and enjoy the view. Destinations don’t get much more romantic than Italy. Whether you’re floating along in a gondola through Venice or watching the sunset on a vineyard in Tuscany, Italy is the perfect place to share your passion for motorcycle touring with a loved-one. If you’ve never been able to persuade your other half to take a motorbike trip with you, then Italy could be your secret weapon. 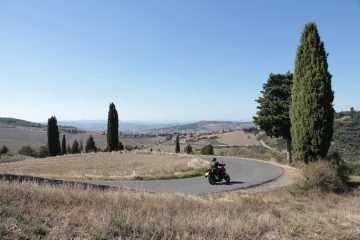 Hear the Road offers a motorbike tour through the villages and vineyards of rural Tuscany and Umbria, including a stay in a four-star winery with an outdoor Jacuzzi, spa, Turkish bath, and sauna. It was the romance of Italy that convinced my wife that a three-week honeymoon on the back of a motorcycle was the perfect way to start our marriage, and we’re still together! Italy is littered with superb roads that will make you want to turn right back around and ride them again and again. One of our favourites is the Futa Pass, located on a glorious stretch of road between Bologna and Florence. This ribbon of twisting tarmac slices through the Apennine Mountains and is known to be used by Ducati test riders as they hone the latest creations from the Bologna-based manufacturer. 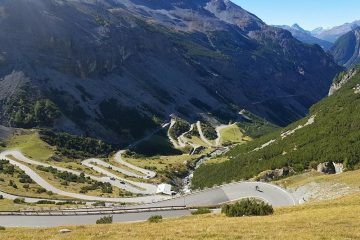 The Futa Pass’ setting may not be as spectacular as the mountain passes of the Dolomites, but the riding is just as satisfying as you plunge into sweeping bend after sweeping bend. The road invites you to build a rhythm as you constantly flick your bike from left to right. Unfortunately, the fun of riding the Futa Pass is no secret and you’ll find yourself sharing the road with a stream of fellow bikers, but the thrill of the ride is worth the crowds. It’s a sad fact of touring in Europe that we eat more meals at motorway service stations than we would like to. Often this comprises of a stale sandwich and a poor excuse for a coffee while we fill up with petrol and stretch our legs. Not in Italy. 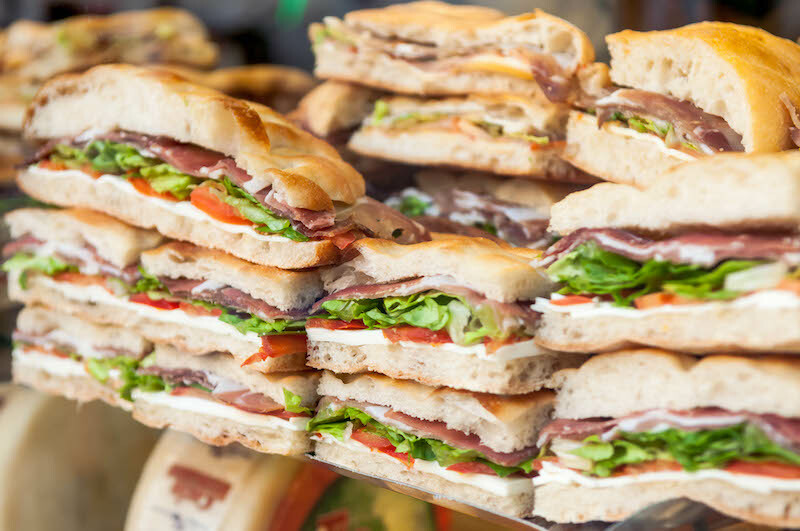 Walk inside to pay for your fuel and you’ll likely be greeted with a deli counter stretching the length of a wall, packed with fresh rolls, baguettes and sandwiches filled to brim with delicious meats and cheeses. Wander a little further and you may well stumble across a counter serving freshly-cooked pizza. You’ll find this pride and passion for food everywhere you go, from hole in the wall pizzerias in Venice, to fancy restaurants in the vineyards of Tuscany. I can honestly say I’ve never had a bad meal in Italy. Whether you’re a self-confessed foodie, or simply eat to fuel your body, you’ll likely come back from a trip to Italy a few pounds heavier than you left and you’ll be all the happier for it. We’ve waxed lyrical about Italy’s superb roads from the mountains to the coast, but this is a country with a lot to offer bikers who like adventures of the unpaved variety. Perhaps the most famous off-road adventure is the 17-mile long trail to the 2,993m-high Colle del Sommeiller. 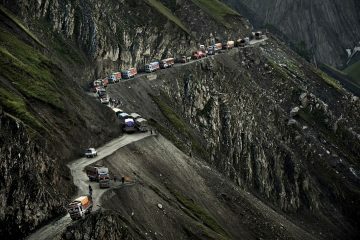 It is the setting for the Stella Alpina (Stella Alpina Motociclistica Internazionale) adventure rally, which sees bikers ride as high as is safely possible up the mountainside, following a gravel trail as they go. Although not technically difficult, a series of tight zig zags climb steeply on loose gravel towards the top, providing a challenge, particularly when there is low lying snow. We could spend days comparing the pros and cons of motorcycling in different European countries to come up with a list of the best you’d probably disagree with. But what it boils down to is how riding a motorbike somewhere makes you feel. 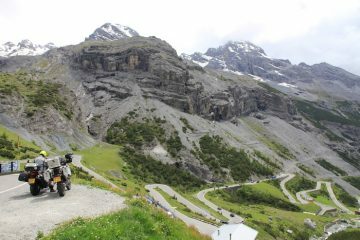 For us, Italy is one of the best (perhaps the best) motorcycle touring destination in Europe because it ignites that passion we feel for riding. The landscape, the roads, the people, the food, the heritage and the romance of Italy all add up to a brilliant time of two wheels. And we haven’t even mentioned the glorious coffee yet! One of the most satisfying and relaxing ways to explore Italy is to join an organised tour. The team at Hear the Road use their local knowledge and years of experience to provide unforgettable journeys through their home country. 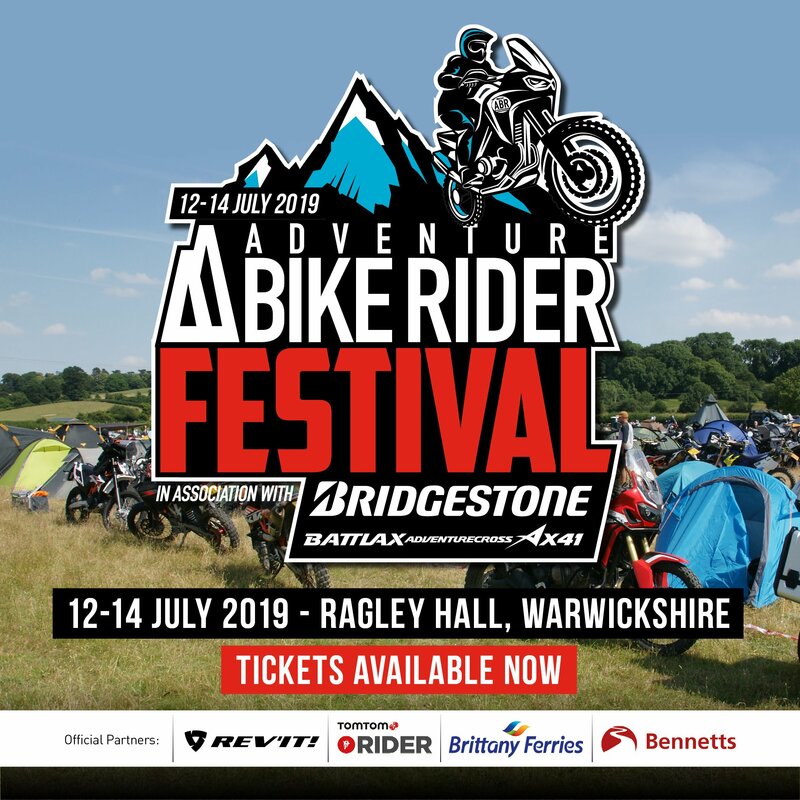 They offer a range of guided tours from eight to 12 days to suit all types of rider, whether you crave exhilarating mountain passes or relaxed rural rides. Hear the Road also provides self-catered and private tours. 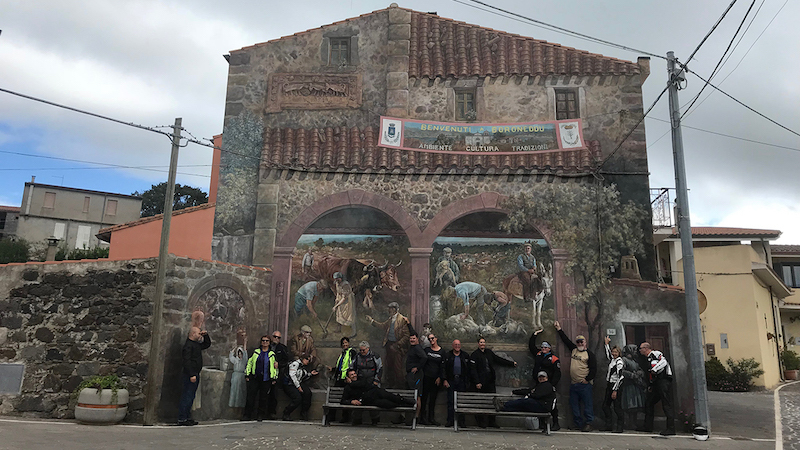 In typical Italian style, owner and life-long biker Enrico Grassi, promises to help customers feel the true essence of Italy “with throttle, heart and eyes wide open”. A free night in Rome is being offered to anyone who books before the end of January 2019.